There are always these circular spots in the transporter rooms on which the teleported people appear and where they wait for the teleportation to happen. 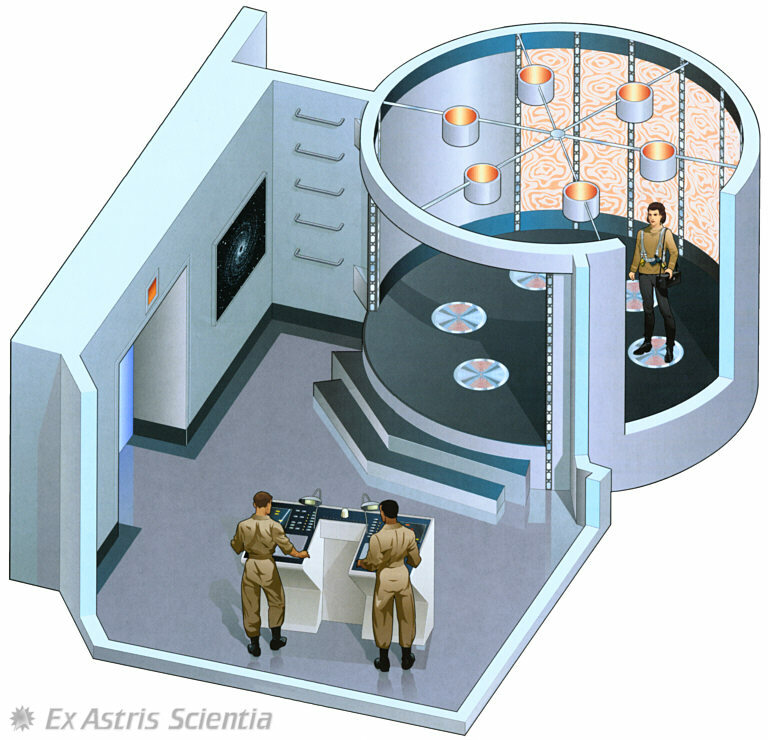 (Image from Ex Astris Scientia). These spots don't make a lot of sense since many episodes show that it's possible to transport much bigger objects than human, and more people than there are spots for. I couldn't find anything about it. It's never been officially stated, but there have been times when transportation of people close together was difficult - they had trouble separating their signals. It's likely that the spots are designed to ensure separation of individuals, to provide easier lock-on. It's also likely that by TNG, this is simply a tradition which no longer is absolutely needed - they show a much greater utility in their transporters than TOS ever did. Still, like the US Marine's dress sabers, the transporter pad markings remain - for historical value, if nothing else. Not the answer you're looking for? Browse other questions tagged star-trek technology or ask your own question. Are transporters used as the main travelling method between cities on 24th century Star Trek Universe Earth? Why do people in the Star Trek universe still use transporters?